Robert Tyre Jones, Jr., or “Bobby Jones,” was one of the greatest competitive golfers of all times. He won 13 majors (4 U.S. Opens, 3 Opens, 5 U.S. Amateurs and 1 Amateur). He was also a very learned man with a degree in mechanical engineering and a practicing lawyer. Bobby Jones was fond of saying that those who are golf instructors are continuously searching for a new way to say the same thing. I could not agree more! In today’s day and age, we have modern technology to analyze and dissect every movement of the golf swing. I certainly am fond of technology and biomechanical study of athletic movement. However, it amuses me to hear of all the “new” breakthroughs of modern teaching. One such example is the phrase “ground forces.” Today, there are advanced analytical tools such as force plates that can measure the transfer of pressure throughout the golf swing. Humans have been playing golf hundreds of years. There is nothing new to athletic motion, swinging a stick, and hitting an object. The great baseball player Ted Williams wrote one of the finest instructional books on hitting a baseball nearly 50 years ago. This was long before specialized equipment to analyze motion. Likewise, many decades ago Bobby Jones, among others, spoke about the importance of ground forces to powerfully strike a golf ball. Today, many fine players are examples of using ground forces, which in essence means ample use of the torso, hips and legs while maintaining a stable head or spine. One such Tour player is Justin Thomas, who creates tremendous clubhead speed for a smaller-stature athlete. Like many other Tour players, Bubba Watson is also a fine example of someone who maximizes these forces. 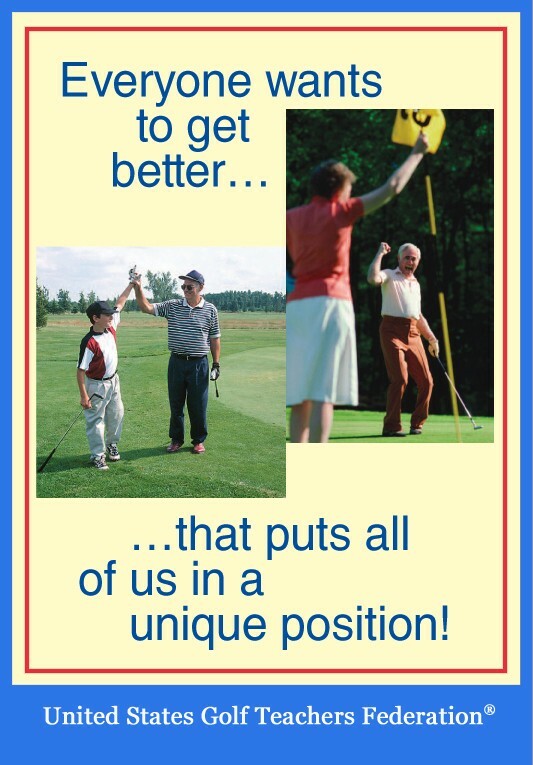 As golf instructors, we must continue to learn, acknowledge the past, and push on to the future. This will lead to more growth as a golf instructor.